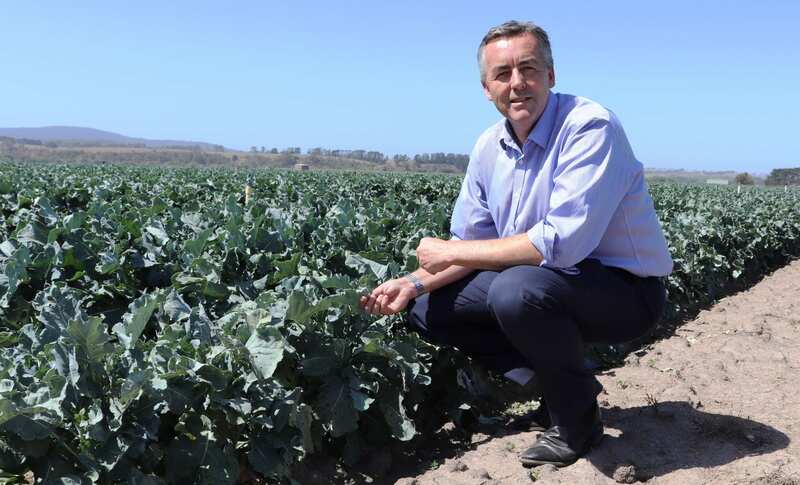 Federal Member for Gippsland Darren Chester is working to help establish a fund to enable Mitchell River irrigators to secure water for their produce during drought. Federal Member for Gippsland Darren Chester has thrown his support behind Mitchell River irrigators to help them withstand the impact of drought. Mr Chester has written to Federal Minister for Infrastructure, Transport and Regional Development Michael McCormack to seek his support to help the irrigators undertake infrastructure projects to secure their water supply. Mr Chester said the on-going drought had a dramatic impact on water supply in the Mitchell River catchment, triggering bans on pumping water from the river. “I’ve been meeting with irrigators, many of whom say they’ve had a drop in production. Some expect their revenue will drop by around 20 percent as a result of the pumping bans,” Mr Chester said. “They believe these losses will increase as the drought persists and bans become more frequent. Mr Chester and his state counterpart Member for Gippsland East Tim Bull want to establish a $10 million fund to help farmers build water storage facilities on their properties. “It would be a great help if the Federal Government provided matching funding to farmers to get these water storage projects underway and finished in time to capture those higher flows,” Mr Chester said. Mr Chester said the money for the irrigators fund could come from the Federal Government’s $1.3 billion National Water Infrastructure Development Fund. The National Water Infrastructure Development Fund supports detailed planning and construction of infrastructure projects, including those which enhance water security and underpin regional economic growth. “A pool of money that allows farmers to invest in vital infrastructure to secure their water supply during times of drought is a prudent and innovative way of helping our farmers,” Mr Chester said.